For the second year running, Sweden and Singapore have been ranked as doing the best job of using technology to boost their economies. The list is dominated by Nordic countries: Sweden ranked highest, with Finland (third), Denmark (seventh) and Norway (ninth) who also ranked highly. The rest of the top ten includes Asian nations Singapore, Taiwan and South Korea, along with the US (fifth) and Canada (8th). The rankings are based on three factors: the overall “environment” for information and communications technology (taking into account both infrastructure and regulation); how ready individuals, businesses and governments are to make best use of technology; and how well the available tech is actually used. In practice this takes into account a wide range of factors, from literacy rates to the relative cost of a mobile phone line, and from software piracy rates to the number of patent applications. Ironically, Libya suffered the biggest decline in the rankings (falling 23 places), with Egypt also dropping. It doesn’t appear this is directly related to closures of Internet access during political protests (when your banking system can’t get online, it’s safe to say your economy isn’t making the best use of technology), but may reflect some of the tensions that eventually spilled over into protest and conflict. Chad takes bottom place in the list: while the lower rankings are dominated by African nations, there are also several South American countries, with Bolivia just three places from the bottom. Why the Nordic countries rank so highly is open to question (one theory has it that with some elements of the figures based on local surveys, results may be influenced by a cheery disposition.) The most common assessments are that it is a combination of high standards of education, and a particular approach to government involvement in technology: paying highly to set up infrastructure but only lightly regulating the subsequent use. Indeed, it’s notable that third-placed Finland was the first country in the world to declare that access to a 1MBps broadband service was a legal right for all citizens. Well, us Swiss people here are quite happy of our 4th place, wouldn't you be? But less happy that you forgot us…. I'm jealous of residents of Switzerland in just about all ways possible.When you're done with the Hadron collider, work on a teleportation device so I can visit. 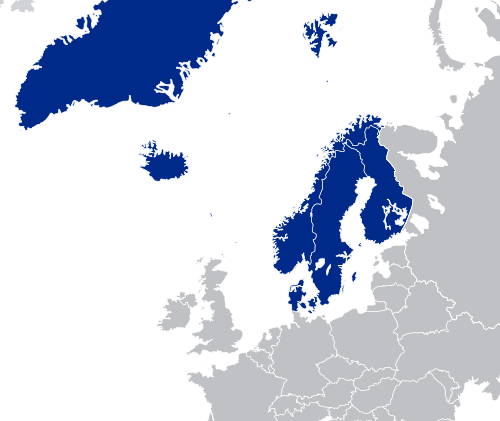 The Nordic nations have like 99% literacy rates.